Wine Bar — For over a decade Casavino has been making hand-crafted customized wines & creating an unforgettable experience for folks looking to taste great wine and gourmet food. Enjoy Arizona wine tasting the way it was meant to be, with outstanding wines, great friends, and lasting memories. 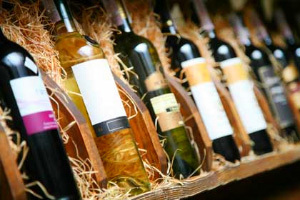 From whites to reds and everything in-between Casavino has a wine to fit every occasion. 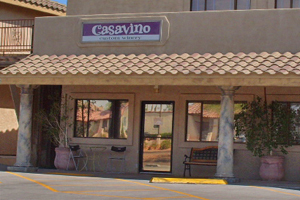 Casavino specializes in over 40 different Arizona wines. They import their juices directly from Napa Valley and all over the world to create truly first class wines. They like to believe there isn’t a palate out there they can’t please. With great wine comes great food at Casavino. Their Arizona winery also provides a seasonal gourmet menu that will have your taste buds on overload. From small plates of artisan cheeses to full dinners Casavino has your dining experience covered. Stop by and meet Chef Nick and see what our kitchen is capable of creating.